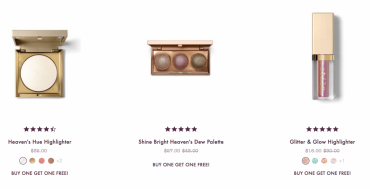 Stila Cosmetics: Select Highlighters Buy One Get One FREE! Plus, FREE Gift On Orders Of $30 Or More Today Only! Stila Cosmetics: Black Friday Extended! 30% Off & FREE Shipping! Stila Cosmetics: Early Access to BLACK FRIDAY! Take 30% Off & FREE Shipping! 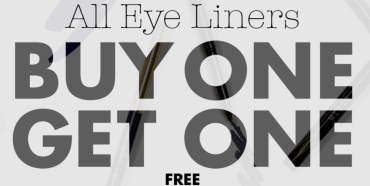 Stila Cosmetics: Buy One Get One FREE Eye Liners Today Only! Plus, An Additional 20% Off! 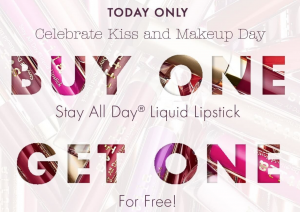 Stila Cosemtics: Buy One Stay All Day Liquid Lipstick Get One FREE Today Only! 25% Off & FREE Shipping At Stila Cosmetics Today Only! FREE Shipping With No Minimum Today Only At Stila! Stila Friends & Family Sale! 25% Off & FREE Shipping!